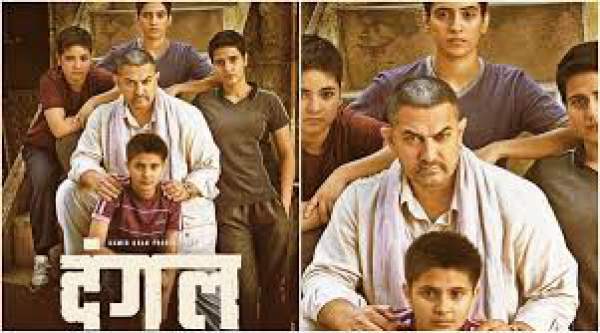 Home Entertainment Dangal Movie Review and Rating: What Critics and Celebs Said? Dangal Movie Review and Rating: What Critics and Celebs Said? Dangal Movie Review Rating: The latest Bollywood film of Aamir Khan is round the corner. It has already built enough buzz and attracting audiences towards it. Before the worldwide release, some celebs and critics were invited to the premiere of Dangal flick. Here is what they said about it. Nearly all of them have hailed it as the film of the year while some of them have included it in its best-of-lists. In the special screening, some invited Bollywood guests and the family of Mahavir Singh Phogat were present. Some of them include Sachin Tendulkar, Karan Johar, Shabana Azmi, Anupama Chopra, Taran Adarsh, Koimoi, Javed Akthar, Rajeev Masand, Taran Adarsh, etc. There will be the USA release on December 22 as per the information available on Wikipedia at the time of writing this. The worldwide release date of Dangla is December 23, Friday. It is going to be a perfect Christmas gift to the fans by Aamir Khan. The celebs who were present at the time of special screening have revealed their verdict. They have said it to be the wrestling drama with women empowerment at its heart. They have regarded it not only a winner but a compelling film too. Check: Dangal Box office Prediction. Below are the reviews of Dangal movie taken from the official Twitter handles of celebs. Dangal movie stars Aamir, Sakshi Tanwar, Sanya Malhotra and Fatima Sana Shaikh. The film has been directed by Nitesh Tiwari and will release in India on December 23. The film will release in the US on December 21. Kaushik LM says, “#Dangal – FANTASTIC. MUST WATCH!! @aamir_khan delivers another classic for the masses. ATBB waiting. Emotional sports drama. True story.”?? On the whole, the movie gets 4 stars out of 5.